Number 208 is an ex-ANR(M&L) standard gauge 2-6-0. Currently owned by the French Lick West Baden & Southern Railway in French Lick (not nearly as fun a town as the name implies), Indiana. 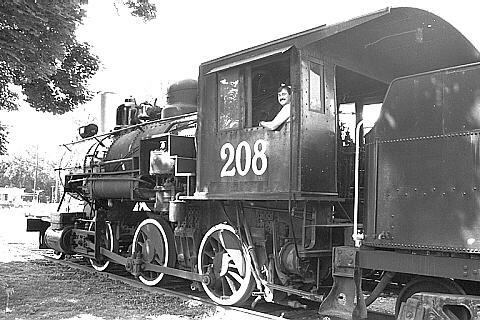 Number 208 is extraordinarily small for a broad gauge engine. This sort of engine spent it's life poking along rough track in soggy gound. At the time of this picture in 1995, 208 was inoperable waiting for boiler work.